Here are the secrets of Charles Cameron's stunning Castle Dracula Show. Charles Cameron is well known as the father of modern Bizarre magic. And for years, in a specially-built theatre at the Edinburgh Wax Museum, he and his group produced an amazing show which included brilliant original effects. 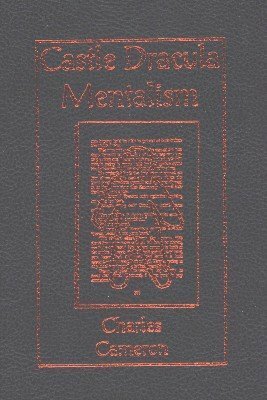 The show was honed year after year until each effect was near perfect and here in this beautifully produced book, Charles at last reveals his closely guarded secrets. Every single effect included can be performed exactly as described. Only a handful of props are required for you to emulate the mysteries that fooled and amazed all those who dared to enter Castle Dracula. This could be real Magik! 1st edition 1997, 87 pages.